I've been checking today Cinnamon desktop. It looks very good with lovely effects and all, it feels modern but following the standard old desktop (exactly what i like). But, what extras it has against xfce? i mean, i can put all this effects via Compiz and have a desktop that uses between 1/2 or even 1/3 of resources. The only points i see in a quick look through Cinnamon is that Nemo seems to have more options than Thunar, the Menu is much cooler than Whisker (but Whisker is much more faster) and the clock, volume, wi-fi etc looks much better. On the other hand the customization of Panels on xfce is much much better than in Cinnamon. 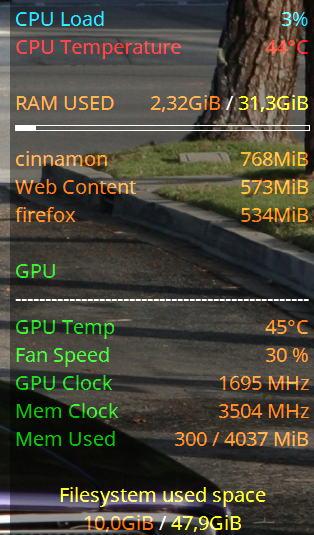 I tried Cinnamon on my computer and was using around 20% CPU and 700-750 MB of RAM (i guess i could low it down to 500 - 600 by installing and tweaking a bit). Right now with a very similar set up with effects on xfce i'm running on 5% CPU or less and 240-270 MB of RAM. The good thing is that Cinnamon implement all this features out of the box while on xfce i have to spend a couple hours to make it look mostly the same. Anyway, i plan to install Cinnamon on my next laptop (coming soon) to give it a try, just wandering. It's really up to you. Try them and see what works best for YOU. A post like this typically just brings a bunch of replies from fanboys of this or that desktop environment. In the end it's down to personal preference and in some cases hardware limitations. XFCE might work better on your hardware. On some hardware Cinnamon provides features like proper HiDPI support that XFCE does not. I'm with JosephM on this, you can't judge a book by it's covers. Take the Mints for a test drive--not via usb but after actually installing them to hdd or better yet to ssd. I started out with Mate, and have learned a lot about it in the last few years. I know it will be 'snappy'. to a separate ssd partition for comparison and boot to it often. and that also dynamically orders mounted volumes first, directories second, and files 3rd--I wish caja could do that. Your computer must be an ancient one. This is the current CPU usage of Cinnamon on Mint 18.3 with these programs running: Firefox 61.0.1, Nemo, Audacious, applet called "Restart Cinnamon" and the DE itself. If I close these 3 top users of RAM, it goes down to 450 MB used RAM. But, as you can see, I really don't care about the used RAM, considering how much I have. Clem just released "LMDE "Cindy" Cinnamon this morning. See his link at new releases. I don't copy links. I think I will try it . Looks interesting! "ancient" is relative. To me ancient is P3 with 256MB ram, old but still fine is a Pentium D+ with 4GB ram. The spectrum in between is a uncomfortable grey area. The problem is people thinking "modern=only available" and getting confused when you have something that's not as "modern" as they themselves are used to... this disconnect was rammed home years back with Call of Duty Black Ops getting a patch to improve performance for PC's with "only 2 cores" as if they were surprised anyone still had one.... at the time a quad core CPU was still relatively rare in my area unless you were obviously well off. There are still MANY machines in use with single core 1.8GHz CPU's and 2GB ram, even the Core2Duo's usually only have 2GB ram because as cheap as ram is in the west most other places its usually a luxury to have much so almost no one ever buys the large sticks which means the second hand market gets flooded with small sticks a decade later..... low ram is a common problem and anything that need 1GB JUST to handle the OS itself is another problem. An ancient one still works pretty great depending on your mission. I'm on an Acer Aspire from 11 years ago (Dual-Core 1.60 Ghz, 2GB DDR2, 250 GB HDD) and runs pretty neat on xfce with Firefox, LibreOffice, Thunderbird etc. overall everything runs smooth. It even manage to run Ardour (Linux Protools let's say..) with 3 or 4 plugins running. I only have problems when running multiple bigger programs, it gets slower. But for random normal use (ie: check multiple web pages, plus some mailing, LibreOffice, some VLC serie / movie, playing some background music etc) is still very usable, and it still will be for a while as long as desktops as XFCE exists. I installed some days ago Mint 19 Cinnamon on my new computer. It looks good after a bit of tweaking. But i still think it uses so much resources. Only Cinnamon running without anything else 1.1 Gb Ram. That's a lot. I like some stuff like the Hot Corners options, they are nice and useful but i still think it uses so much resources, it feels snappy though. I guess that with Xfce i could have almost one half more of battery life. I will try it for a bit longer. If you don't mind spending the time in customizing Xfce, then that's great. Many members use Xfce because it can be customized with Compiz. With regards to getting Xfce that uses 1/2 or even 1/3 resources---I very much doubt it. If you're going to be putting effects that mimic Cinnamon, you'll probably run about the same in RAM. I've been trying today from a pendrive Linux Mint 19 xfce. It works great, as usual, but it also uses too much Ram. 800 MB. I don't get it. The 32 bits version of Mint 18.3 i got on my old computer is on 200Mb at start up (before tweaking it was 350 or so). Not so much difference between 19 Xfce and Cinnamon.. I've noticed that too. I ran 19 Xfce live and found it using around what you said. Side note: I've tried updating two of my 18.3 machines to 19 and get the same result---cannot continue due to an error. Fresh install is the way to go for me. Yes, it was the 64 bits version. 64 bit Debian Stretch-based Distro - XFCE uses just under 300mb after boot. Uses less than 800mb with Firefox (three tabs open) and Thunar (2 tabs) running, and 3+ Panel applets + Whisker Menu etc. And programs launch instantly. I think the differences between Xfce and Cinnamon go far beyond visual effects. I prefer Xfce to Cinnamon but I always turn off the desktop effects in Xfce. I've seen that "free -m" or "screenfetch" shows very different results comparing with System Monitor in all 19 editions. If i remember well i didn't see this happen on 18.3 XFCE. For example, free -m gives me on start up on Cinnamon 650 while System Monitor 1.1 RAM. Based on free -m Cinnamon gets very good results compared with Mate, Mate doesn't make much greater results. A little less, only XFCE is a bit ahead but no much more.